One of them, on implicit racism, was the second most-read post on The Prindle Post in 2015. Diversity: I am committed to increasing diversity and equality in professional philosophy. While at Yale, I co-founded Minority and Philosophy, which has since blossomed into a full-fledged network. ​I have been a mentor, both formally and informally, to several women graduate students. I'm always happy to help out (whether you are a woman or not): if you think you could benefit from my advice or support, do get in touch! Dance: Outside of philosophy, my main passion is dance. I started dancing when I was 8, and I never stopped. I am an alumna of Yale Dance Theater and A Different Drum Dance Company at Yale, and of Centro di Danza Kiki Urbani and Danzarea, in Rome, Italy. I have danced with, and learned from, many talented teachers and peers around the world, and I am very grateful for that. 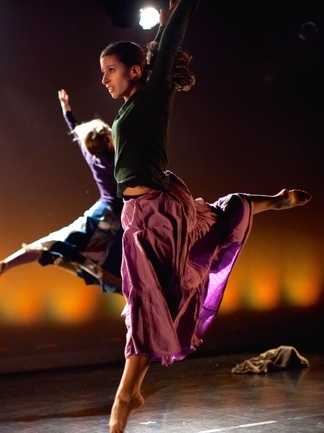 I still dance and perform, most recently with Dance Theatre Northwest. "Dance, dance, otherwise we are lost" (Pina Bausch).